The man’s face shows signs of having been severely cut up in a duel. Duels were very much in vogue in Germany prior to World War 1. Members of the aristocracy would fight duels with swords or pistols over affairs of honor, and thousands died over trivial slights. In addition to such honor duels, male University students belonging to the upper classes, often belonged to fraternities whose main purpose was to challenge the members of rival fraternities to sword duels. These so-called academic duels were not fought to the death, though death might result accidentally, but they were not at all genteel affairs. The duelists wore only partial face masks which covered only their eyes and nose (to prevent blinding or disfigurement through the loss of one’s nose) but which also left the rest of the face intentionally unprotected so that rapier strokes often sliced the opponent’s face. This lack of protection guaranteed a level of risk which was seen as an essential proving ground for the duelers, and also ensured that they would receive facial scars which were seen as a mark of honor and distinction. 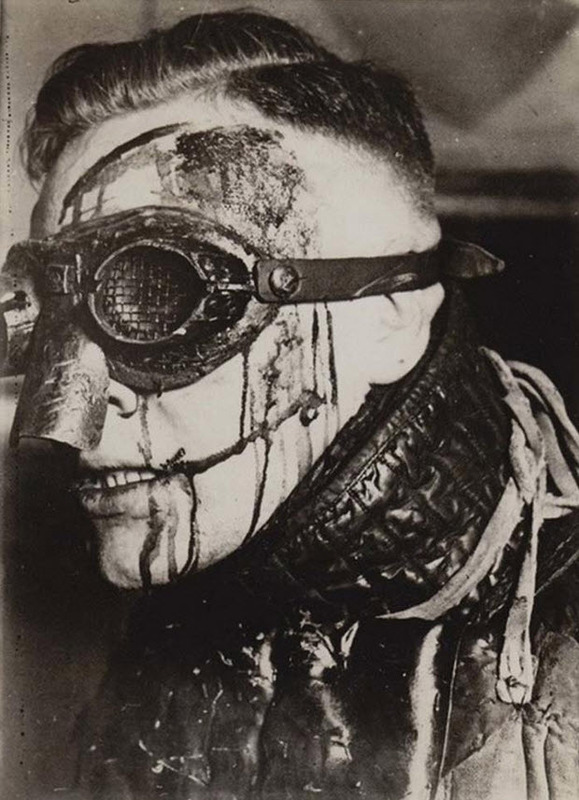 Far from avoiding receiving scars in duels, German elites wore their facial scars as a badge of honor. It looks like the man in this picture, likely taken around 1910, has earned quite a few distinguishing scars. The practice of dueling to the death went out of favor following the carnage of World War 1. However academic dueling for sport remained in vogue even after world war 1, and many German officers during the Second World War continued to sport dueling scars.